RF System Lab will be among the 1,000 plus exhibitors at the 2016 NBAA Maintenance Management Conference, presenting their impressive line of VJ-Advance (VJ-ADV) joystick-controlled, four-way articulating video borescopes. RF System Lab borescope expert Zack Wessels will be exhibiting at booth #806 and is providing free demos of the VJ-ADV. 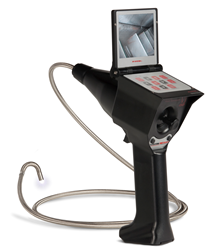 RF System Lab offers the industry’s only no-cost, no-obligation borescope trial. The company will send the VJ-Advance video borescope so that you can use it while completing inspections at your own facility in order to be sure that it suits all of your requirements. Visit RF System Lab at booth #806 or contact them today at (855) 787-6966, to arrange to receive your demonstration unit.